Jenell spent most of her childhood with chlorine-scented hair from the pool, often at swim meets and working towards a goal from a young age. But after she hung up her goggles and swimsuit at 16, she was almost certain she would not be as active again. Little did she know, as she got older, she would find herself back in her trainers and trying to squeeze in a workout amidst a very busy schedule. From running, spinning, yoga, to boxing classes, Jenell has probably tried most of them! It wasn’t until she started her functional fitness journey where she finally found her true passion and purpose. Through the process, she has seen her body change and grow so much. 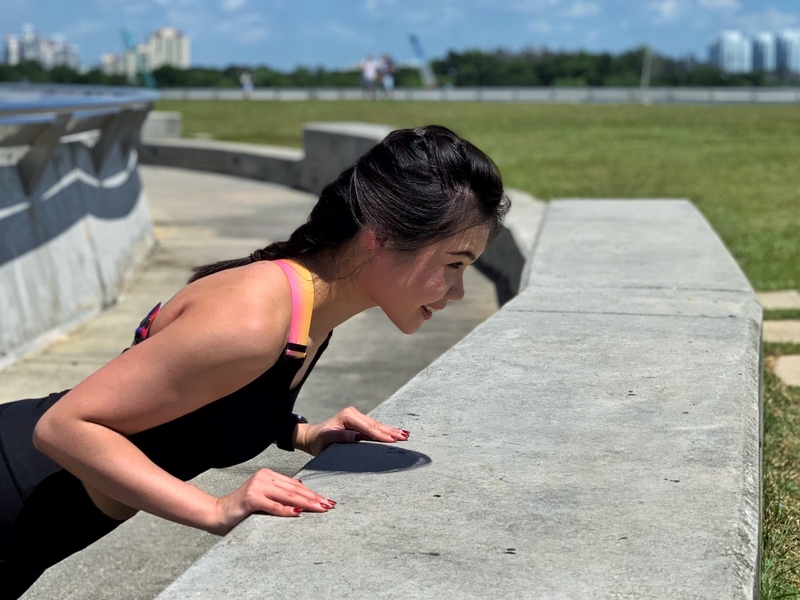 Jenell currently works in the service industry which has proven to be highly volatile, but she finds joy in being able to find respite and personal growth through fitness. Fitness never fails to put her in a good mood.